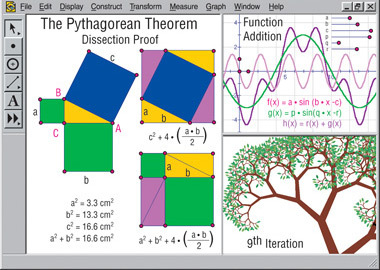 ■ Construct and dynamically manipulate figures to visualize the Pythagorean theorem and gain insights that no static illustration can offer. ■ Explore linked geometric, numeric, and symbolic representations simultaneously. ■ Explore relationships between algebra and geometry with tangible illustrations of abstract concepts. ■ Define, evaluate, differentiate, and plot functions. 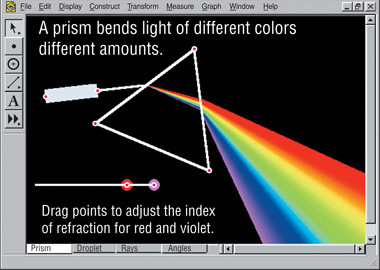 ■ Investigate classical geometry in new and powerful ways. 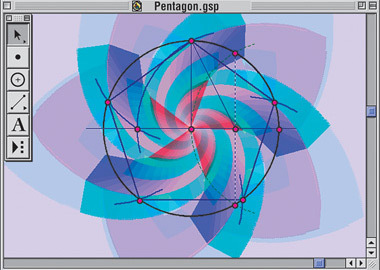 ■ Show students the beauty of mathematics. ■ Build working mathematical models. 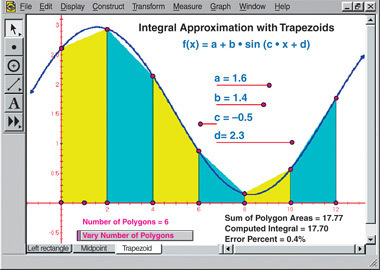 ■ Create interactive mathematics presentations. 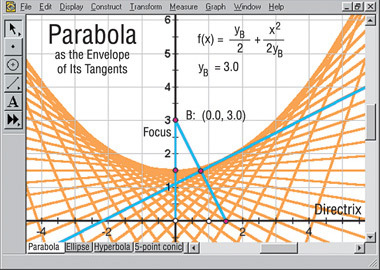 ■ Create dynamic, visual models of critical mathematical concepts in topics from algebra to calculus. ■ Help students deepen their understanding through explorations.